In the world of information technology today, security is one of the most pressing concerns. In 2011, Sony, Lockheed Martin, NASA, the FBI, Citigroup and PBS were just a small sampling of companies and government agencies that made the headlines as victims of massive network security breaches, with tremendously costly results. Better defense of our national information and communications infrastructure is the only way to protect consumers and businesses from the intense emotional and financial damage that can result from having their assets or identities stolen through criminal hacking, not to mention the danger to all citizens when government agencies are breached by cyber-terrorists. The professionals at the frontlines of this national issue are trained cybersecurity experts. Cybersecurity experts serve as a digital line of defense against attacks on business and public interests, integrating computer science with security, law enforcement, public policy and management. The challenge is that not enough people with this skill set exist. The White House has reported that to meet the national need, as many as 30,000 new cybersecurity professionals are needed by the U.S. government alone. In industry, the demand for technically-trained workers to lead security is equally high, with annual salaries rising as high as $175,000. Stevens Institute of Technology is doing its part to prepare the next generation of trained professionals to enter this high-growth, in-demand field. In fact, cybersecurity is one of the key research and education thrusts in Computer Science at Stevens, with Bachelor’s and Master’s degree offerings as well as graduate certificates and Master’s and Doctoral concentrations in cybersecurity. 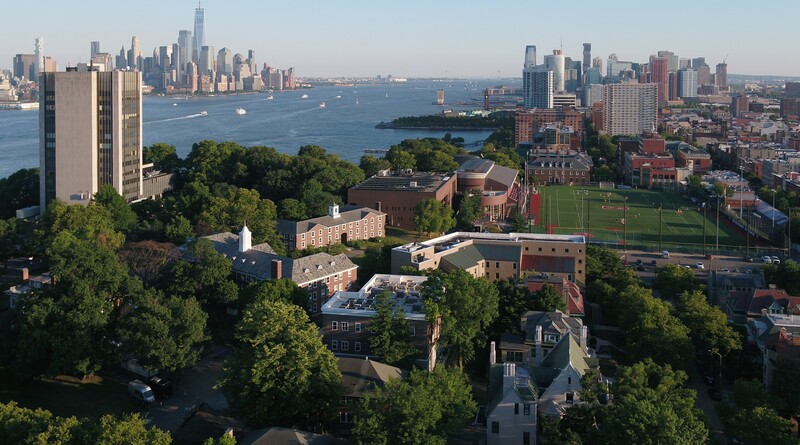 At the undergraduate level, Stevens is one of only a handful of universities nationwide to offer a B.S. in Cybersecurity. It is a highly-technical and rigorous program that provides students with a comprehensive education in cybersecurity, including theory and practical hands-on experience. The Class of 2012 has the most Cybersecurity majors since the program first began admitting students in fall 2006. At the graduate level, the M.S. in Cybersecurity – which also has a lot of crossover with the traditional Computer Science program – is perhaps Stevens’ most robust offering in the field. Drawing students who already have a degree in computer science or computer engineering – and/or professional experience in computing – it helps security professionals respond to the increasingly serious demands posed by private-sector and government computers and networks by deepening not only their technical skills, but also their appreciation of the organizational, social, management and legal aspects of security and privacy. M.S. students – most of whom study full-time – enroll in a 10-course, two-year program in which they acquire basic knowledge of information security, including data confidentiality, message integrity, authenticity and non-repudiation, and they refine their information technology skills with coursework in networking and advanced algorithms. Through these fundamentals, they learn techniques and methods for identifying and reacting to immediate and long-range security attacks. Students also get hands-on practice applying these techniques in a lab. Stevens also offers a unique Masters-level program called Enterprise Security and Risk Management, featuring a curriculum that combines managerial expertise in asset identification, threat assessment and risk mitigation with a sound understanding of information security technology that promotes security awareness, but with a lesser emphasis on the technical aspects. Stevens attracts significant funding for cybersecurity research and instructional program development, in large part due to its designation by the National Security Agency (NSA) and the Department of Homeland Security (DHS) as a National Center of Excellence in both information assurance research and education. It is one of only approximately 30 universities with both designations, attesting to the quality of the programs. Stevens also houses a number of cybersecurity labs which contain the latest cybersecurity technologies and give students access to the latest computing methods so that they are up-to-date when they graduate. Stevens’ Cybersecurity alumni have been attractive to a wide array of employers, entering positions in law enforcement, high-tech companies, financial institutions, telecoms, and more. “Because of the highly-technical nature of the Stevens curriculum, our students are way ahead of the curve compared young professionals entering the workforce with degrees from less technical cybersecurity programs,” said Wetzel. “Employers appreciate that our cybersecurity graduates have a deep foundation of theoretical knowledge as well as strong, all-around technical skills,” added Sven Dietrich, assistant professor of Computer Science. Many alumni of the Cybersecurity program have found success within the U.S. government, including Ted Reed (B.S. in Cybersecurity and M.S. in Computer Science, 2011). Reed is a computer science researcher at Sandia National Laboratories, responsible for technical leadership over various projects related to cybersecurity, including code development. He is one of three graduates who received a scholarship through the Stevens Scholarship for Service (SFS) grant, a unique offering funded by the National Science Foundation (NSF) that provides scholarships for academic study in cybersecurity at Stevens and job placement in a federal information assurance position. “The Stevens curriculum incorporated the right amount of computer science foundation before introducing us to courses and content capable of creating a qualified information system researcher, responder or developer, who can consider threats and assets beyond the keyboard,” Reed said. Nicholas Capalbo (B.S. in Cybersecurity and M.S. in Computer Science, 2011), who also received a scholarship through the Stevens SFS program, now works for the Federal Reserve Bank of New York as an information security analyst on the Incident Detection and Analysis team. His primary role is first level security incident response, including malicious file analysis, network and log analysis, and tool development. To learn more about the undergraduate cybersecurity program at Stevens, click here. For information on the Master’s program, click here.